Lemax North Pole Observatory Sights & Sounds table piece is a musical and animated tower depicting Santa's special viewpoint on the world, checking to see if Children have been naughty or nice! Santa's reindeer live in the observatory stables below never very far away from Santa's company. Elves are busy on the 2nd level of the Observatory, ensuring the Childrens toys are being prepared foe the big day! Lemax North Pole Observatory plays a recorded musical and vocal soundtrack, whilst his viewing tower rotates 360 degrees. Santa's helpers, the elves animate by moving in and out of the 2nd level of the Observatory building. An illuminated building suitable for placement in and amongst a seasonal Lemax village Christmas scene. A unique Lemax Santa's Wonderland Village collectable table piece which joined the Lemax collection in 2016. 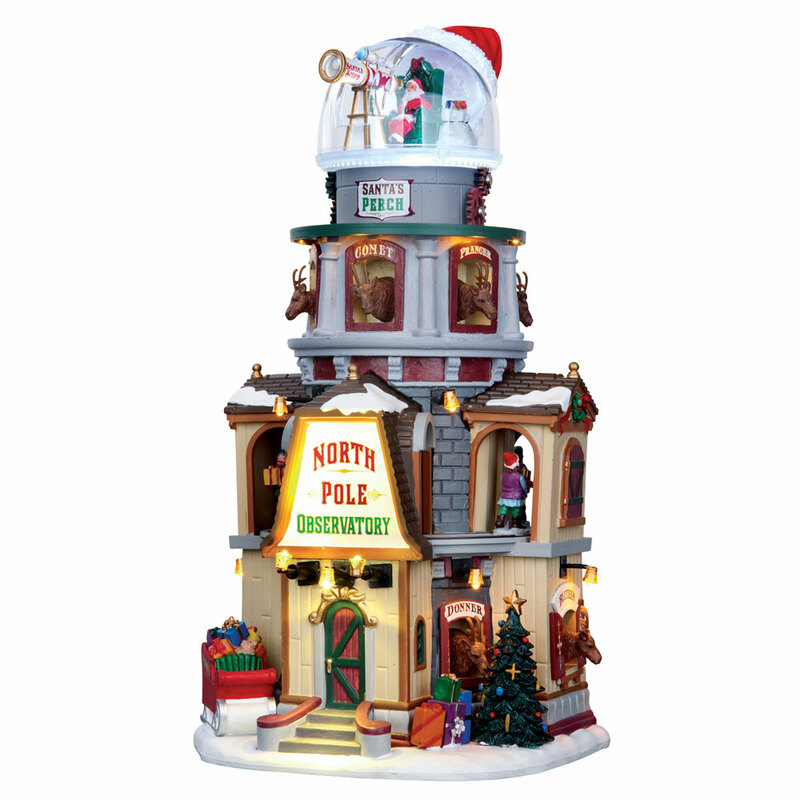 North Pole Observatory offers a delightful self standing polyresin building on an individual base to compliment your seasonal Lemax Village.